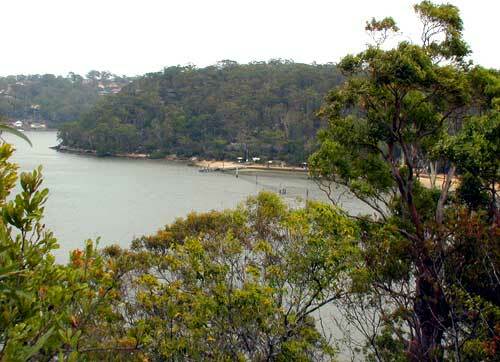 Oatley Park is a tree covered peninsula almost surrounded by the estuarine waters of the lower Georges River. Covering an area of 45 hectares, it is the most significant area of bushland remaining in the St George district. Oatley Park was dedicated as a public recreation area on 25th March, 1887 and in the following year Hurstville Council was appointed trustee of the area. Over three hundred species have been identified in the park. A population of Gosford Wattle (Acacia prominens) occurs within 50 metres of the equipment shelter built by Hutchison for its mobile phone tower. This species is listed on Schedule 1 Part 2 of the NSW Threatened Species Conservation Act as a “Threatened Population”. The park is subject to intensive recreational uses for picnics, bike riding and bushwalking. The oval is used by the local soccer club and primary school for its sporting activities and serves as an additional play area. The future of the park depends on community concern, awareness that this is a valuable asset and management by the Trustees with expertise and foresight. Excerpts taken from Native Plants of Oatley Park compiled by Alan Fairley. 114 species of birds have been observed in the park. Oatley Park provides a sanctuary for many species of birds some of which nest within its boundaries. Others use the park and its tidal boundaries as part of their wider search for food and shelter. A number of migratory birds also find the bush covered peninsula a convinent stopover on their long flights. >>View "Animal Life of Oatley Park"
A population of Gosford Wattle (Acacia prominens) occurs within 50 metres of the equipment shelter built by Hutchison for its mobile phone tower. This species is listed on Schedule 1 Part 2 of the NSW Threatened Species Conservation Act as a “Threatened Population”. The listing of a species, population or ecological community in the schedules of the Act serves to identify the species, populations and communities that are most at risk of becoming endangered or extinct. Species, populations and communities that are listed under the Act are protected such that the impact of any action affecting them must be properly assessed. One of a number of matters for consideration in the assessment of actions, such as development proposals, is whether the proposed development will have a significant effect on threatened species, population or communities. This is not a ban on all actions but a process to ensure that these actions are compatible with the continued survival and evolutionary development of threatened species population and ecological communities Persoonia hirsuta also classified as an endangered species in the Threatned Species Conservation act schedules has been recorded in the park. In addition Tetratheca neglecta and Hibbertia nitida have ROTAP Classification. Because an area like Oatley Park is not on a register of environmental significance it does not mean it has no environmental significance. Oatley park provides an important pocket of bushland land acting as an extention to Georges river national park and links other smaller bush areas of the surrounding suburbs. What will be the impact of Hutchison's 3G tower? No one knows or has studied the actual effects of Electromagnetic Radiation on birds. The oval is surrounded by trees that are very close to the tower. Will they be fried chicken? Who is going to know? It won’t be until there are no birds in the park that questions will be asked. Oatley Park is one of the few substantial green areas in the region which has maintained its original forest cover and contains rare and endangered species of the area. If we are to maintain our fresh air and outdoor life style it is vital that fragmentation of urban bushland does not occur. Oatley Park was dedicated for recreational use 116 years ago is now being exploited for commercial use! Possibly to the detriment of its recreational value.